The push to bring PC gaming to your living room is on! Valve announced Wednesday that its much-anticipated SteamOS operating system will become available on Friday, December 13, and the company will ship out fully functional prototype Steam Machines to 300 lucky U.S. users on the same day. Steam Machines are console-like gaming PCs, and SteamOS is the beating heart at their core. Building on the blocks laid by Steam's Big Picture mode and its 10 foot-interface, the Linux-based SteamOS was built specifically for use with far-away HDTVs. As we said when SteamOS was first announced, Windows is clumsy to operate sitting on a couch across the room. SteamOS should make it easier to get into games and install drivers in a living room environment. The tweaking in SteamOS extends beyond the interface, however. Valve says that it's "achieved significant performance increases in graphics processing, and we're now targeting audio performance and reductions in input latency at the operating system level." SteamOS revolves around Steam for Linux, but there's a pretty glaring problem there: The number of Windows-based PC games faaaaaaaaaar exceeds the number of available Steam-for-Linux games. To skirt that potentially perilous issue, SteamOS includes streaming functionality that lets you push your desktop games to a Steam Machine, similar to the Nvidia Shield handheld's PC streaming capabilities. Don't expect all those bells and whistles to be polished when Valve releases SteamOS on Friday, however; the company warns that "unless you're an intrepid Linux hacker already, we're going to recommend that you wait until later in 2014 to try it out." 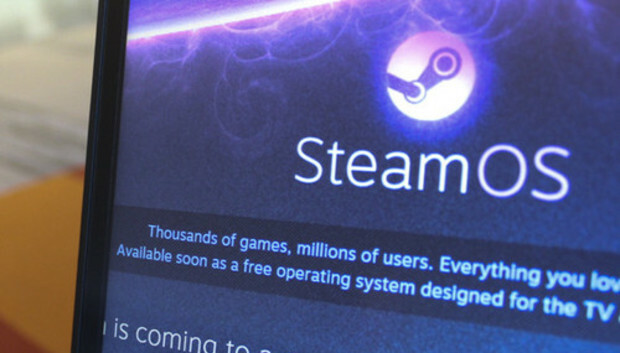 While the release of SteamOS means you'll be able to try out Valve's operating system on your own PC, a full line of Steam Machines from multiple PC makers is expected to launch in 2014. We've already seen an Xbox-esque $500 Steam Machine prototype revealed by iBuyPower, PiixL's $1000-and-up Jetpack (which is designed to strap to the back of your TV), and a mysterious teaser for a $1469 (and up) model from Digital Storm. Will SteamOS actually be able to challenge Windows for PC gaming supremacy? We'll get an appetizer to the answer this Friday.